A declining advertising market, a non-performing Canadian offshoot and a withdrawal of funding: why Vintage TV collapsed into insolvency. The free-to-air music channel had a small, but dedicated fan base that suddenly found the service being pulled off various platforms during the summer. 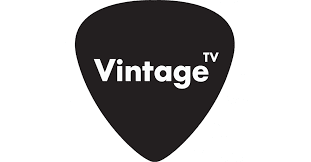 Vintage TV specialised in older music, normally shunned by many other music channels. It had been broadcasting since 2010. In September, the company went into Administration, appointing Insolvency Practioners Moorfields. According to a Notice of Administrator's Proposals from November 2018, now made public on the Companies House website, the squeeze in funding led to the channel's debts soaring. The debt burden associated with Vintage TV Canada also crippled the company. A reduction in staff as part of a cost-cutting exercise couldn't prevent mounting pressure from creditors, resulting in the channel crashing off air. The document confirms Freeview multiplex operator Arqiva as a creditor owed £168,791. Sky is owed £17,400, Virgin Media £40,000. An attempt was made to stream the channel online, but the Administrator confirmed that mounting arrears meant that this service also had to be cut. In September, attempts were made to restart the TV service, after it was recognised that there would be some value in the Freeview and Sky EPG slots if a service could be restored. At the time, Vintage TV announced online that it would be returning to Sky. But investors refused to support the neccessary funding. According to the Administrator's assessment, one company - View TV (which had provided the streaming service) - had "considered providing the funding required but ultimately were not prepared to." View TV has informed a516digital that they are working with other creditors to create a similar TV channel early next year. Having lost the licence to broadcast, the Administators are now attempting to monetise the remaining assets of the company, including the channel's library of content and leading a sale of Vintage TV's stake in the Canadian version of the channel in order to recoup money to repay the creditors. Changes to the way consumers listen to music has resulted in numerous broadcasters reviewing their music channel portfolio in 2018. Even large companies such as Viacom and Global have either cut music TV services this year or reconfigured them to entertainment channels. h/t to a516digital reader Tom for highlighting the publication of this document.